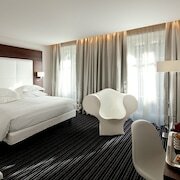 Located in Grenoble City Centre, this romantic hotel is steps from Place Grenette and Les Halles Sainte-Claire. 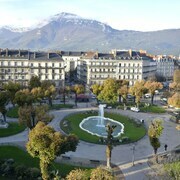 Jardin de Ville and Grenoble-Bastille Cable Car are also within 5 minutes. Hubert Dubedout-Maison du Tourisme Tram Stop is only a 2-minute walk and Sainte-Claire Les Halles Tram Stop is 3 minutes. 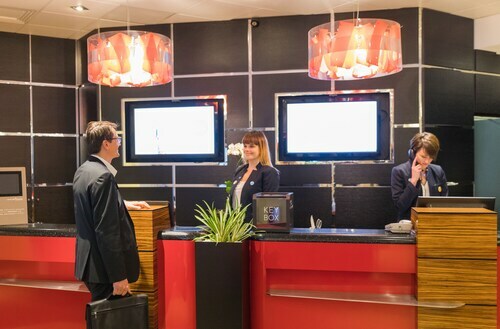 Located in Secteur 1, this hotel is within a 10-minute walk of WTC Grenoble and Minatec. Grenoble-Bastille Cable Car and Jardin de Ville are also within 1 mi (2 km). Palais de Justice Tram Stop is only a 2-minute walk and Saint-Bruno Tram Stop is 4 minutes. 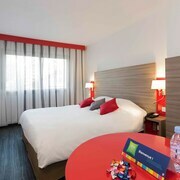 Located in Grenoble City Centre, this hotel is within a 10-minute walk of La Caserne de Bonne and Paul Mistral Park. Les Halles Sainte-Claire and Museum of Resistance and Deportation are also within 15 minutes. Gustave Rivet Tram Stop is 7 minutes by foot and Chavant Tram Stop is 7 minutes. 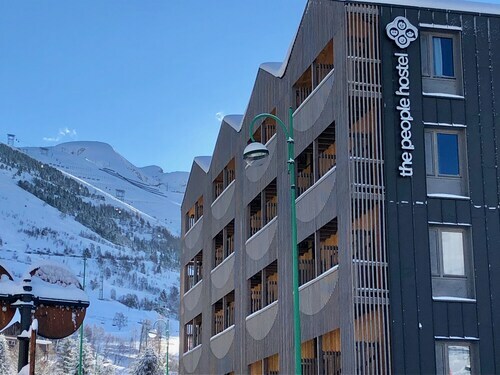 Located in the mountains, this Les Deux Alpes hostel offering ski-in/ski-out access is 0.1 mi (0.1 km) from Ecrins National Park and within 20 mi (32 km) of La Grave Ski Resort and Plateau d'Emparis. Palais des Sports is 19.9 mi (32 km) away. Located in Chesnes, this hotel is within 3 mi (5 km) of Church of Saint Quentin Fallavier, Allinges Fortified Houses, and Chateau de Fallavier. Eurexpo Lyon and The Village Outlet are also within 12 mi (20 km). 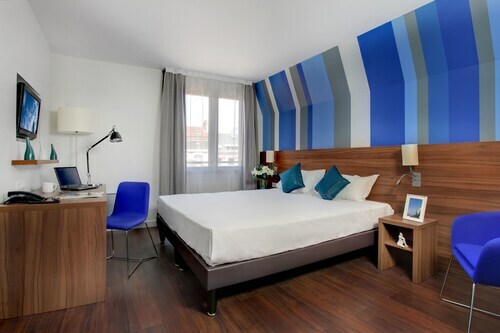 Located in Grenoble City Centre, this hotel is within a 10-minute walk of Place Grenette, Grenoble-Bastille Cable Car, and Jardin de Ville. Les Halles Sainte-Claire and Grenoble Theater are also within 10 minutes. Victor Hugo Tram Stop is only a 2-minute walk and Hubert Dubedout-Maison du Tourisme Tram Stop is 5 minutes. 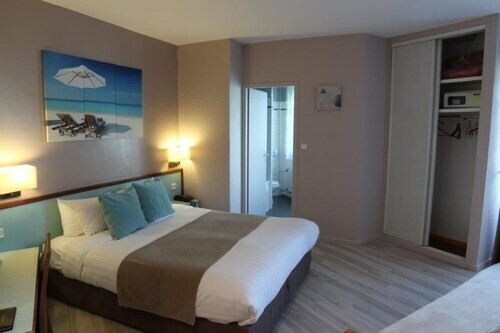 Situated in Gieres, this hotel is within 1 mi (2 km) of Stendhal University, Pierre Mendes France University, and Grenoble Alpes University. CHU de Grenoble and Inovalee Business Park are also within 3 mi (5 km). Condillac-Universites Tram Stop is 10 minutes by foot and Mayencin Champ Roman Tram Stop is 12 minutes. 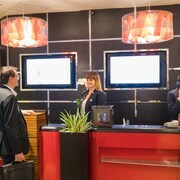 Located in Secteur 6, this hotel is within a 5-minute walk of Palais des Congres Alpexpo and Patinoire Polesud. Summum and MC2 are also within 1 mi (2 km). Grand'Place Tram Stop is only a 3-minute walk and Polesud-Alpexpo Tram Stop is 6 minutes. 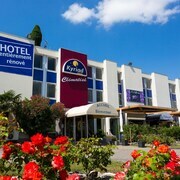 Situated in Eybens, this spa hotel is within 1 mi (2 km) of Summum and Patinoire Polesud. Palais des Congres Alpexpo and MC2 are also within 3 mi (5 km). Polesud-Alpexpo Tram Stop is 26 minutes by foot and Grand'Place Tram Stop is 29 minutes. 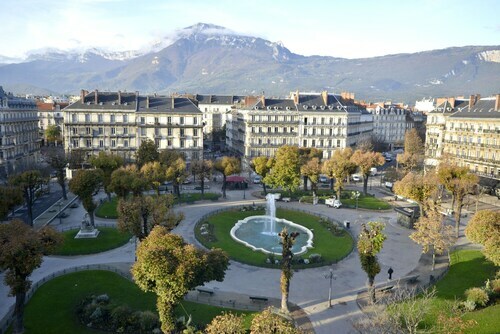 Located in Grenoble City Centre, this residence is within a 10-minute walk of Paul Mistral Park, Museum of Resistance and Deportation, and Les Halles Sainte-Claire. La Caserne de Bonne and Place Grenette are also within 10 minutes. Verdun-Prefecture Tram Stop and Chavant Tram Stop are within a 5-minute walk. How Much is a Hotel Room in Isere? 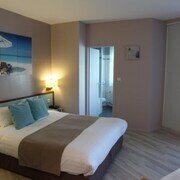 Hotels in Isere start at $32 per night. Prices and availability subject to change. Additional terms may apply. Pack your bags—it’s time to embark on a getaway. 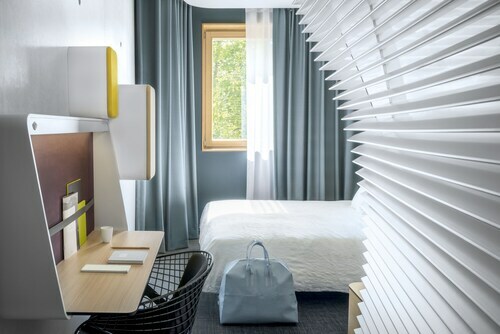 Whether you’re craving a solo retreat or promising your family a vacation to remember, book one of the best hotels in Isere. These hotels are located within easy access of the city’s hottest attractions and entertainment, so you won’t miss a beat while you’re in town. Spend the days exploring the local landmarks and the evenings getting to know the nightlife. After exploring the city from top to bottom, rest up at a hotel that speaks to you. Find the perfect place that matches your trip’s vibe, from a trendy boutique to family-friendly accommodations. Allow us here at Travelocity to pair you with up Isere hotels that suit your vacation preferences. Discover places with convenient on-site restaurants, around-the-clock service, and pools where your kids can make a splash. Some hotels may boast fitness rooms and spa services, while others feature game rooms and Wi-Fi access. To top it all off, you’ll score cheap hotels in Isere that let you spend more on your activities and less on your lodging. Book and bundle your flight and hotel deals together today and save up to $537. It’s time to explore a new city, and break out of your routine. 5.0 good location 10 min from the pedestrian center. 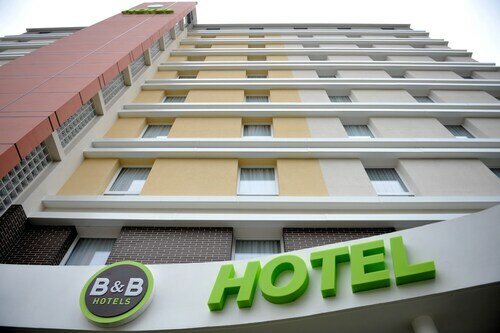 Good location 10 min from the pedestrian center, friendly staff, small but clean room, with working air conditioner and internet. An excellent deal.